The famous Persian Sufi, Bayazid of Bistam (Bistami), saw in a moment of unveiling that the Pole (spiritual king) of the age was none other than the town's humble ironsmith. Bayazid was amazed, for the ironsmith happened to be a man with few distinctive qualities. Finally, unable to supress his curiosity any longer, he went over to the smith's shop in order to take a closer look. When he arrived, the smith was nonplussed, threw away his hammer and tried to kiss his hand as a gesture of respect - for Bayazid was of great renown - and asked for his prayers. Bayazid was surprised. He said, "It is I who should be kissing your hand and asking for your prayers, please, pray for me." "Sure I will," said the smith, "But I wish for your prayers in a matter that has been disturbing me for a long time. My own prayers won't work." "What's your problem? Asked Bayazid. "I'm worried about the state of the people," said the smith. "Everytime my hammer descends on the anvil and the sparks fly, I wonder how these human beings are going to withstand the fire, and try to find a way to improve their codition." 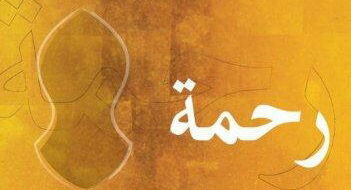 Bayazid thought to himself: "So this person is not of those who say, 'My self, My self' (ya Nafsi, ya Nafsi). Rather, He says: 'My people, My community (ya Ummati, ya Ummati) [just as the Prophet did]. Now it's clear why the station of polehood was given to him, for he deserves it. "Moreover, the Pole of the Age is so unaware of his station that he kisses my hand and ask for my prayers. So he hasn't received unveiling yet, and doesn't know where he is - thus doubling his sincerity." The station of Godly person is always full of love and compassion towards other beings and acts accordingly, because God's light and compassion flow out of such person and into the world. 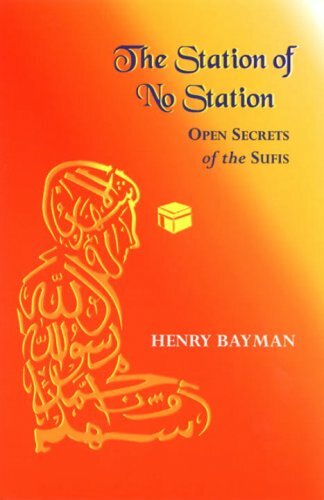 ~ as quoted from book by Henry Bayman, may Allah bless him - titled "The Station of No Station: Open Secrets of the Sufis". Its known that the Seal of the Prophet, Muhammad, may Allah complete every divine blessings upon him, used to be absorbed in his prayer and contemplation to such degree that he would forget his existence, he would not recognize even his most closely associate ones when he would enter into what in the East is called Samadhi (unity experience). Sometime during his night time prayer, he would pray with his forehead on the ground in prostration, crying all night long out of deep compassion and concern: "Ya Ummati, Ya Ummati." 'My Community', 'My people'. Thus the cry of the beloved, ummati, ummati is cry for not only one community, but in extension to whole of humanity. 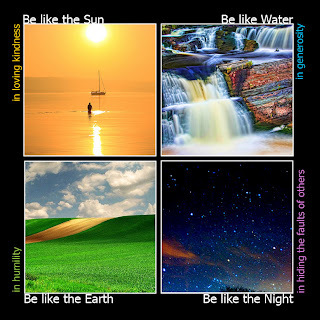 The real sunnah, the deep sunnah (holy pattern) of the Most Beauteous being is 'Harisun alaikum bi mukmina raufur rahim. ', ‘to be deeply concerned, and tenderly compassionate for fellow human beings’. That has always been the station of the heart of compassion of every beauteous being who is not confined to own enlightenment and salvation but that of the others. To follow the way of the Rasul means to become 'Harisun alaikum bi mukmina raufur rahim' - concern for the suffering of others with a heart of tender loving compassion. The raising of the degree of saintly station ihas a direct co-relation with the capacity to embody this state. "It is only he, possessed of all SAGELY qualities that can exist under heaven, who can show himself quick in apprehension, clear in discerning , of far reaching intelligence, and all embracing KNOWLEDGE, fitted to exercise RULE, magnanimous, generous, benign and mild (harisun /raufur rahim), fitted to EXERCISE forbearance ( hilm /sabr), impulsive, energetic, firm, and enduring, fitted to maintain a FIRM HOLD (urwatul wusqa), self adjusted, grave, never serving from the MEAN / MIDDLE (Istiqama) and correct, fitted to COMMAND (Amar) reverence; accomplished, distinctive, and searching, fitted to exercise DISCRIMINATION (furqan). All embracing is he and vast (innaka ala Khuluqi azim), deep and active as a fountain (rahmata lil-alamin), sending forth in their due season his virtues (rahma /syafaa). He is seen, and people revere him; He speaks, and all people believe him (amin); He acts and the people are pleased with him (atiu ‘Llah wa atiur Rasul); ..therefore his fame overspreads the middle kingdom (ummatan wasatan) and extended to all foreign races. Where ships and carriages reach; Wherever the strength of man penetrates; Wherever the heaven overshadow and the earth sustains ; Wherever the sun and moon shine (was syamsi wa qamar); where the frost and dews falls – all who have blood and breath unfeigned honor and love him. Hence it is said - 'He is equal of Heaven' (Nur Allah). Who can know him, but he who is indeed quick in apprehension, clear in discernment, of far reaching intellect and all embracing knowledge, possessing heavenly virtue (iman/ihsan). The superior man accords / follow with the course of the Mean (Middle Path) . Though he may be all unknown, unregarded by the world, he feels no regret; It is only the SAGE who is able for this! The Way which the superior man pursues, reaches wide and far, and yet is secret / concealed." Allah! Send Blessings upon the Full Moon in brilliance. Allah! Send Blessings upon the Light overwhelming darkness. Allah! Send Blessings upon the Key to the Abode of Peace. Allah! Send Blessings upon the Intercessor of all humanity. To be concerned with the troubles of others, to try to ease their pain and heal their wounds, in an act of love and compassion. It is only those who have this in abundance who can rise to the higher stages of Sufi sainthood. In hiding the fault of others, be like the night. To elaborate, the sun rises and sheds its light on all things, without making any distinction between good and bad, worthy or unworthy, etc. Water gives life to both the rose and the thistle without favoritism. The earth continues to lend its bounties to all, taking no heed of who steps on its face. And the night draws a veil of darkness over even the greatest iniquity. The Master used to say that each of these represented a pole, and anyone who was able to emulate even one of them would achieve salvation. In men all these qualities are merely borrowed, and in reality they belong to God, who acts thus towards His servants. God keeps unresisting faith with those who love Him, and although they show resistance in keeping faith with Him, He only increases His kindness towards them. The sign of God's keeping faith is this, that in eternity past He called His servant to His presence without any good action on the part of His servant, and that today He does not banish His servant on account of an evil action. He alone praises without the incitement of liberality, for He has no need of His servant's actions, and nevertheless extols him for a little thing that he has done. He alone gives without being asked, for He is generous and knows the state of everyone and fulfills his desire unasked. Accordingly, when God gives a man grace and makes him noble, and distinguishes him by favor, and acts toward him in the three ways mentioned above, and when that man, as far as lies in his power, acts in the same way towards his fellow-creatures, then he is called generous and gets a reputation for generosity. In the play of many, its only Thee, O Thee! The Divine Voice shall call on the Day of Resurrection: O son of Adam, I was ill and you visited Me not. He will say: O Lord, and how should I visit You when You are the Lord of the worlds? He will say: Did you not know that My servant So-and-so had fallen ill and you visited him not? Did you not know that had you visited him you would have found Me with him? As you perhaps have learned that under the umbrella of Porshee Foundation (Read a report about its activities and Scope of Work), which is inspired by two universal value of 'small kindness' and 'loving for others what one love for one's self' we are raising funds to reach out to those who face severe economic hardship that compromise human dignity. Our beneficiaries include children, orphans, widows, single mother, poors in severe debt and handicap. We have helped enabling setup businesses to earn a respectable living by those who would otherwise would simply beg on daily basis to live. We have convinced poor parents to continue their girls education by providing scholarship and supports such as school dress whom otherwise couldn't continue education. We have two schools setup one in a community of marginalized people (Harijons) and another in a community of blinds whose children we teach. As of 24th August we have raised about 38% of our target 33,00 USD. With your generosity we hope to achieve our target and Inshallah will exceed it as well. Kindly donate and spread the words among those whom you know, specially those who have a generous heart. Indeed there are no other direct means to serve the Divine except by serving the creation. Click on [ChipIn] button below to donate. May Allah keep your heart inspired, fill it with pure peace and happiness and reward you for your every giving for His sake.